BACLIFF, TX (KTRK) -- Three people are under arrest after a four-month-long narcotics investigation in Galveston County. The Galveston County Sheriff's Office, League City police and La Marque police executed a search warrant at a home in the 4400 block of 2nd Street in Bacliff. They seized more than 20 grams of methamphetamine and $1,585. 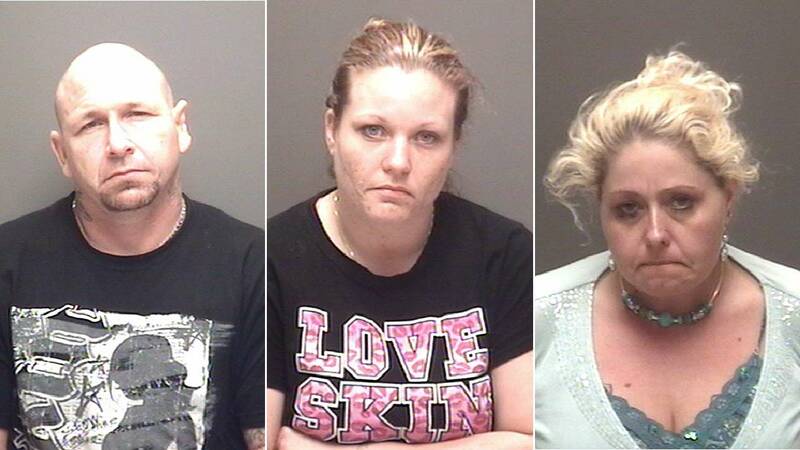 As a result of the investigation, Ashlie Hocutt, Robert Thomas and Toni Pannell were arrested. Hocutt is charged with drug manufacture and delivery and tampering with evidence. Her bond has been set at $100,000. Thoas is charged with drug manufacture and delivery, with bond set at $250,000. Pannell is charged with drug manufacture and delivery, with a $30,000 bond.